: Cost of Wild Birds Unlimited Franchise? How Much Does It Cost to Own a Wild Birds Unlimited's Franchise? Owning a Wild Birds Unlimited pet-related products/services franchise can be a lucrative business, but it does have some initial financial requirements. To open a single pet-related products/services location, the company requires that potential franchisees have liquid assets of at least $40,000. The franchisee startup costs associated with owning a Wild Birds Unlimited pet-related products/services franchise are similar to those of Pet WantsFETCH! Friendly Neighborhood Pet CarePet Parent Key Chains. Wild Birds Unlimited falls under the 'multi unit and area developer', 'pet', 'retail', 'sba approved' and 'sports & recreation' franchise categories. Across these multiple categories, it is further subcategorized under 'pet food' and 'wild bird supply'. See how the investment level of Wild Birds Unlimited's compares to those of other available pet related franchises. Experience the joy of a Winning Culture! Ranked #1 in Owner Satisfaction by Franchise Business Review 2014,2015,2016,and 2017 in the Retail category. When our franchise store owners are happy, we know we are doing something right. 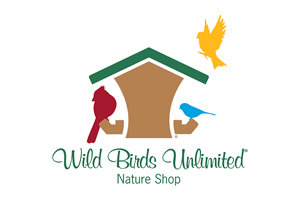 Wild Birds Unlimited is not currently accepting new franchise inquiries through this site. Please see our comprehensive directory for currently available franchises near you. Incorporated Name Wild Birds Unlimited, Inc.